JoAnn graduated from Saint Louis University School of Law in 1997. She was a law clerk for the Honorable Kent Karohl with the Missouri Court of Appeals until 1998. 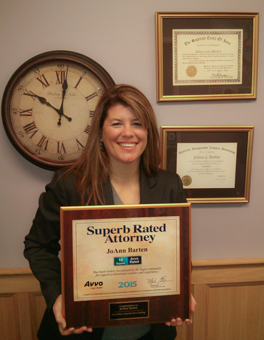 She entered private practice in Iowa in 1998 and has handled immigration law cases since 1999. 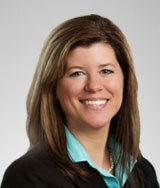 She is an appointed Commission Member of the Iowa Supreme Court Client Security Trust Commission from 2012 to present. She has been a member of the American Immigration Lawyers Association since 1999 and was elected Chair of the Iowa-Nebraska Chapter for two separate terms 2002-03 and 2004-05. In addition, she has a passion in promoting fair trade as a way to prevent human trafficking through her work with Worldly Goods – a non-profit celebrating its 25th anniversary in 2012, located in Ames, Iowa, which is dedicated to promoting fair trade. She has been a Board Member since 2008 and President of the Board 2011-2012.